Though the altar table has been missing from the side altar of the Madonna of Mount Carmel since 1886, it is still distinguished by the large niche in the middle of the wall in which the 18th-century statue of Mary is set. This notable baroque sculpture in painted and gilded wood, by an unknown sculptor, is used for the procession held annually in honour of the Virgin Mary of Mount Carmel as part of the celebration first established in the 18th century. 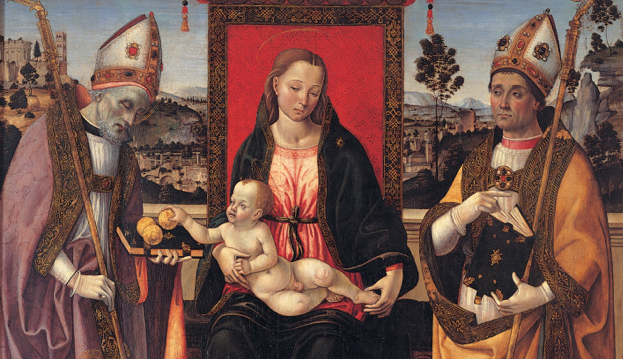 The 17th-century altarpiece can be seen on the side wall to the left, in Late Mannerist style, depicting the Madonna with Child (Madonna of Mount Carmel) and the saints Elijah, Simon Stock (? ), Francis of Assisi and Charles Borromeo. 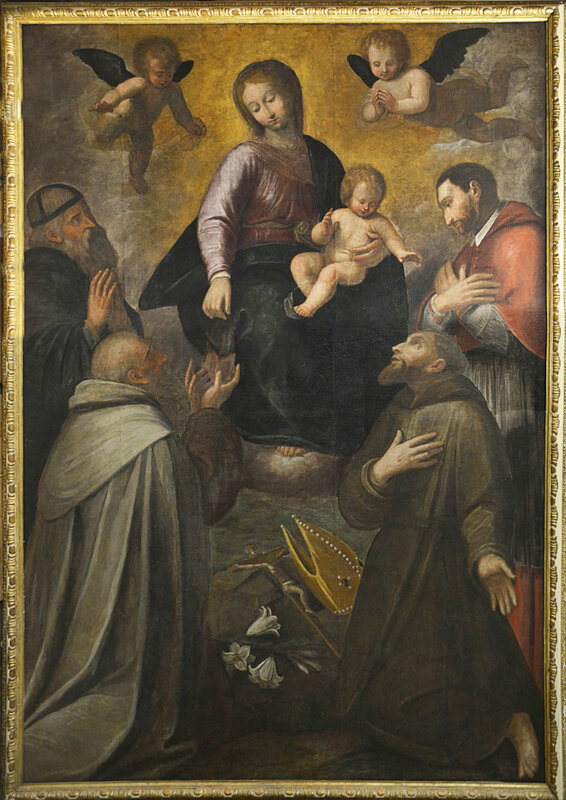 It is the work of a painter from the circle of the famed Moncalvo (the master Guglielmo Caccia, who died in 1625), who would have painted it on canvas in around 1628, the year in which the Company of the Virgin Mary of Mount Carmel was officially recognized. 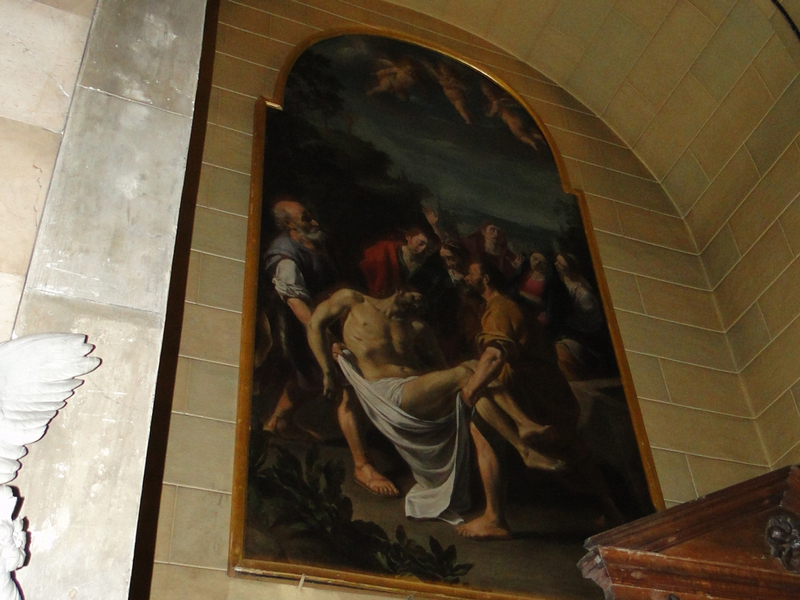 The work was originally positioned on the table where the priest would officiate at this side altar. A 17th-century painting on canvas has been hung on the right-hand wall for some years now. 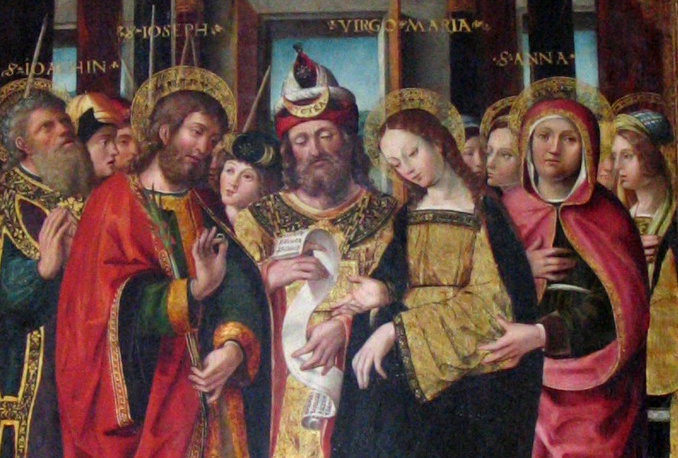 It was donated to the church in 1992 and shows Saint John the Baptist in the desert and an angel. The work is attributed to Giuseppe Doneda (or Danedi), known as Montalto (1609–c.1678-1679), from Lombardy. Until 2003 it was kept in the sacristy.